We’d love your help. 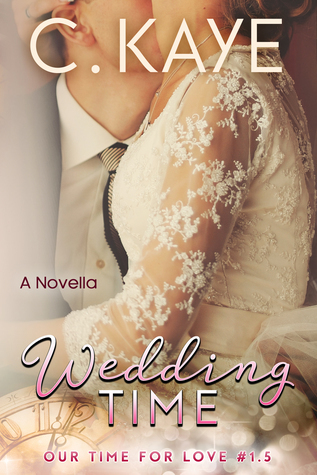 Let us know what’s wrong with this preview of Wedding Time-A Novella by C. Kaye. Raef and Gemma made it through the kind of circumstances that would destroy most couples, but they held strong to their love. Now they’re ready to become man and wife—and child—a family in the truest sense of the word. Together with their daughter, they’ll have a new home and a new start! Now can they actually make it to the alter? A week before the wedding, Raef’s father is murdered and the turmoil it brings threatens Raef and Gemma’s happiness. On top of that, Gemma’s best friend confesses his love for her… and how much he wants her for his wife. To ask other readers questions about Wedding Time-A Novella, please sign up.